Over the past seven years, Pittsburgh-native John Craig has helped upwards of 100 clients get the most out of their hard-earned money. His personal, attentive approach to tax preparation and bookkeeping allows his clients to remain both stress-free and informed year-round, not just during tax season. 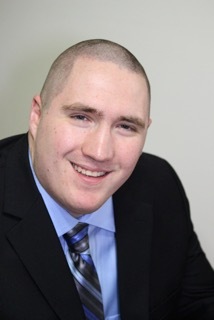 The Robert Morris University graduate has experience with both corporate and personal bookkeeping. In May 2012, John commenced operations at “John Craig Bookkeeping” in Troy Hill with the goal of growing clients’ businesses and bottom lines. While most companies focus on “now,” and problems in the short-term, foreseeable future; John Craig specializes at keeping up with current trends and staying ahead of unforeseen pitfalls, as he believes that businesses should remain prosperous today, tomorrow, five years from now and beyond. Had John do my business and personal taxes and he got back over 200 dollars more than the big online tax companies were saying was owed to me! Personally when it comes to doing taxes, I can’t stand how crazy they can get. Having John in my corner has changed all I know about my preparations. He’s a very knowledgeable man, and did what he could to get me the most out of my return. I’ve seen more money come in the past two years then I have with other company’s. Every year John takes as much time as necessary to help us with every big and small detail (even when we moved out of state). He’s always patient, informative and walks us through each step. He works hard to give us the best refund every time. We wouldn’t consider going anywhere else!